Special formula for permed, color-treated or damaged hair. 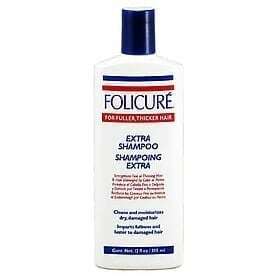 Wet hair thoroughly and apply Folicure Extra Shampoo. Work up a full lather and massage the entire scalp. Rinse thoroughly and repeat.